World Cup Series Miami. Triunfo español en clase 470 con Jordi Xammar Hernandez y Nicolás Rodríguez García. But sometimes, it’s the last shift that provides the more enduring laugh. That was the case in the Women’s 470 Medal Race, which kicked off the final day of racing at the 2019 Hempel World Cup Series Miami on Biscayne Bay. Frederike Loewe and Anna Markfort (GER) started the race with a slim lead in the overall standings. Not only was their gold medal position at risk, there was a legitimate possibility they could slip off the podium entirely as fourth place was just eight points at the start of the race. After a bad start at the pin end, the German duo spent the majority of the race in a virtual fourth place. Hannah Mills and Eilidth McIntyre (GRB) on the other hand, nailed the start and the first leg and rounded the first two marks in the lead and wearing the virtual gold medal. But defending against three other teams is always a challenge, even more so in light air, and on the second lap, the trailing boats found a window of opportunity. First it was Camille LeCointre and Aloise Retornaz (FRA) who were not a medal threat, but would slip by and go on to win the race. Then it was the eventual bronze medalists, Fernanda Oliveira and Ana Luiza Barbachan (BRA). The final dagger came at the leeward mark when Markfort and Loewe and their compatriots Fabienne Oster and Anastasiya Winkel (GER) converged from opposite sides of the course and both slipped inside the British team at the final mark rounding. The order wouldn’t change on the final leg, giving Loewe and Markfort the win, their first medal in a Hempel World Cup Series competition, while the silver went to Oster and Winkel, leaving Mills and McIntyre to ponder how something that had seemed so solid slipped away so quickly. Markfort was quick to credit Loewe with finding that little bit of favourable wind at the last possible moment. Local favorites Stu McNay and David Hughes ended the regatta with a wire-to-wire win in the Men’s 470 Medal Race. But, with Naoki Ichino and Takashi Hasegawa (JPN) crossing the finish line right on the American’s heels, it was only good enough to move McNay and Hughes into fourth place. Ichino and Hasegawa held on to the bronze medal position they had at the beginning of the day and the same was true of the two teams ahead of them on the leader board. 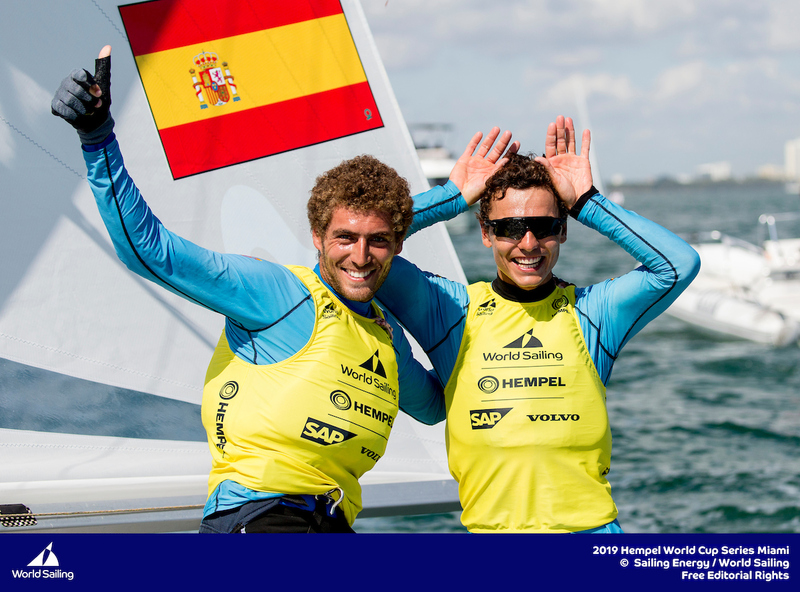 Anton Dahlberg and Fredrik Bergström (SWE) were sixth in the Medal Race and claimed sliver while Jordi Xammar Hernandez and Nicolás Rodríguez García-Paz finished third in the Medal Race and won gold. “We are really happy,” said Xammar. “It’s amazing to win a World Cup event and the first of 2019. 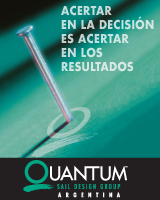 We had a long pre-season so to be on top of the podium is good for us. We were happy with how we sailed before the Medal Race, but winning and keeping gold ahead of the Swedish team who are one of the best guys in the fleet is really good. With nine of 10 sailors starting the Finn Medal Race mathematically alive for a medal, and third through sixth separated by three points, the only thing that seemed certain was that the results would change. But it would’ve been hard to predict the drama that unfolded during the course of the race, particularly on the first leg, with virtually the majority of the 10-boat fleet sitting in a medal position at one point or another during the race. Max Salminen (SWE) started the race with a four-point cushion over second, but quickly found himself in the back half of the fleet and, as a result, out of the medals. Meanwhile Luke Muller (USA) streaked into the lead, and the virtual gold medal, by working a clear lane on the right side of the first beat. Then Muller was whistled for breaking the prohibition against pumping, and he dropped into last after completing his penalty turn. At the top mark, Oskari Muhonen (FIN) pulled into the lead, which he would keep throughout the race and jump from sixth to silver in the overall standings. Salminen rounded second and while he would drop to fifth by the finish it was enough to keep gold, especially when Jonathan Lobert (FRA), who started the day in second, dropped from fifth to 10th on the second upwind leg. Muller found new life in the light air and, against all odds, pulled back to fourth by the second windward mark. 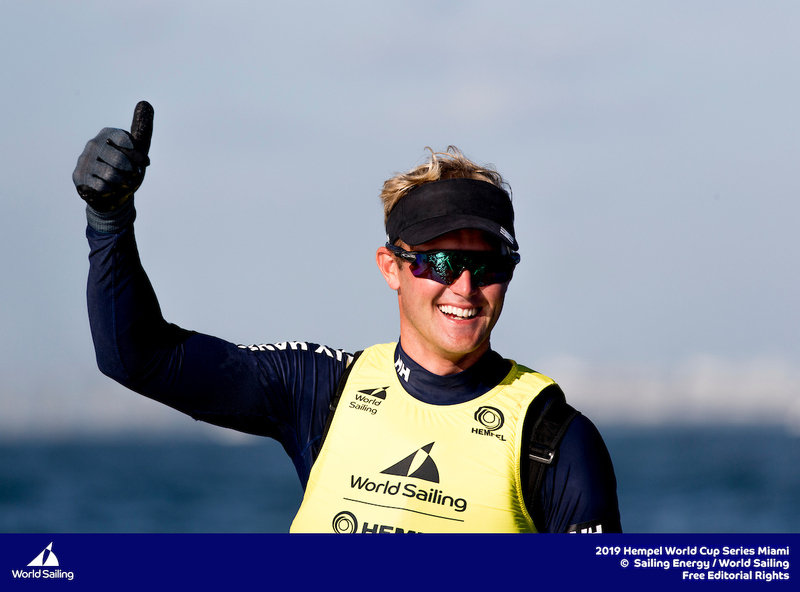 He was able to fend off Salminen on the final two legs to hold on for the bronze, his first medal in a Hempel World Cup Series event and the first for the host country this year. Paige Railey approached the Laser Radial Medal Race planning to do whatever she could to make up the 13-point gap that separated her from gold. But overnight leader Dongshuang Zhang (CHN) countered that by sticking close to Railey off the starting line and, when she gained a little bit of an edge, pressing that advantage to stay between Railey and the finish line. 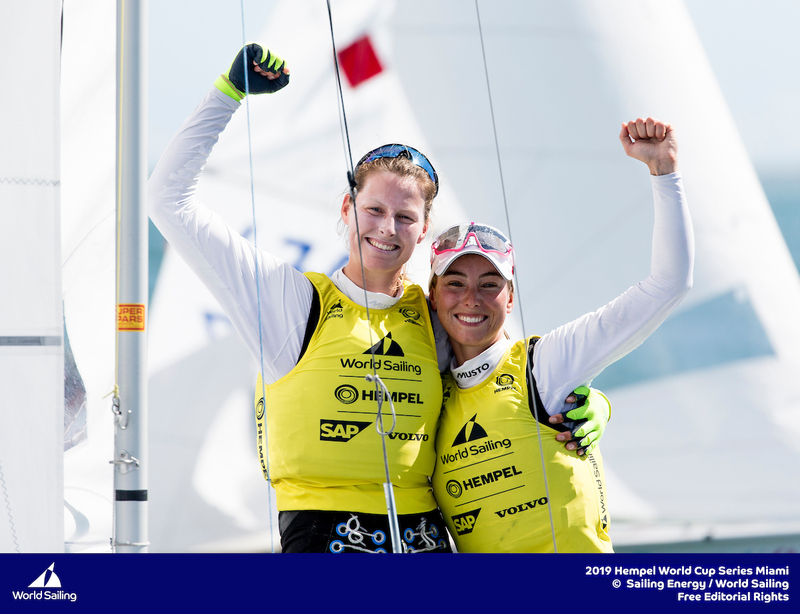 With Zhang and Railey sailing at the back of the fleet, the only remaining question was whether Vasileia Karachaliou (GRE) would be able to put enough boats between herself and Railey and swan her bronze for Railey’s silver. That dream ended at the second windward mark when Karachaliou clipped the windward mark with her boom and was forced to do a circle. With gold and silver locked up prior the Laser Medal Race, the primary drama was whether Rio 2016 gold medalist Tom Burton (AUS) would be able to hold off a hungry pack of four sailors all with designs on the final spot on the podium. Charlie Buckingham (USA) kept Burton honest by working his way into second on the opening leg and remaining there for the remainder of the race. Burton dropped as far down as fifth, which would’ve put his position at risk, but crossed the finish line in third, right on Buckingham’s heels. 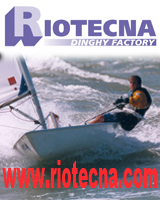 Sam Meech (NZL) won the race to put an exclamation point on his silver medal in the regatta. Herman Tomasgaard (NOR), the gold medal in hand after one of the most impressive Hempel World Cup Series performances in recent memory—he led by 65 points going into the Medal Race—finished last. Despite his scoreline, which included nine top-five finishes, it wasn’t a perfect regatta. Genoa, Italy will host the third round of the Hempel World Cup Series from 14 to 22 April followed by the Final in Marseille, France early June.